With today’s economic marketplace rapidly becoming a completely integrated, global system, it is no wonder that many people are choosing to further their education with graduate work in international business. Also, since many top schools are beginning to answer the demand for high-quality online degree programs, the result is that there are quite a few international MBA programs to choose from. Since the sheer number of available online programs can make it difficult to identify which degree programs have the strongest international MBA offerings, it is important for prospective students to consider their own needs when comparing programs during the selection process. Establishing a method for comparison is also helpful. In addition to prestige – since it’s necessary to ascertain a program’s completion rate. For many people, MBA programs are taken on while working in an occupation on a full time basis. Great MBA programs understand these needs and work fluidly with students. Another important factor is financial aid availability. In today’s economy, students often need to utilize various methods for funding their degree, even with the cost reduction of many online programs. The quality of professors is also tremendously important since they deliver the information vital to student knowledge. For an international MBA program to be effective, professors must understand the global environment for business, and be full members of the global community themselves. Finally, cost of a program is essential. Finding a school which matches your personal, professional, educational, and financial goals is crucial to maximizing your degree investment toward your future career. With those criteria in mind, here is a list of the Top 10 International Business MBA Programs Online. These offerings have proven to provide a high return on investment for students seeking to broaden their occupational outlook and improve their understanding of international business practices. They also have unique features that set them apart as the best options for students looking to achieve a competitive edge in today’s modern workforce. Boston University boasts an online-only International Marketing Management degree program that allows students to collaborate and network with students and professionals in Europe, South America and Asia. They also offer students an option to study in partnership with Mexico’s Monterrey Institute of Technology and Higher Education. That type of collaborative opportunity would be difficult to replicate in a traditional program. The Monterrey Institute of Technology and Higher Education is ranked by the Financial Times as one of the top 15 business schools in the world. All of the online MBA programs at Boston University are designed to be completed in 16-24 months. Not only are they fully accredited programs, Boston University is also an active member of many distance learning associations, such as the United States Distance Learning Association, which helps keep their methods current and their product exemplary. Cost for this program is $760 per credit hour, with a $60 fee per credit hour and a technology fee per course. Financial aid is available for qualified students. While Wharton’s MBA program requires some campus based study and a field experience in the form of an overseas trip, the school has recently expanded it’s online offerings in conjunction with their executive education program. This allows students to receive the benefits of a Wharton international business MBA, as well as tailor the course experience to their needs. This program will cost students and estimated $97,000 dollars to complete. Depending on the emphasis chosen and the elective coursework, additional fees may be required to participate in the on-campus classes or the field experience. No matter which delivery model students choose, they are always exposed to the world-renowned Wharton faculty. While a degree’s worth should not be based on the name of the school alone, the Wharton reputation is certainly a powerful selling point. This program is one of the “discount” programs of this list, but the price tag does not indicate the quality of the program. This 13 course international MBA program costs $1,881 per course, for a total of under $25,000 in total. This is substantially lower than most traditional programs, and even lower than most online budget offerings. And with the ability to choose from a variety of MBA programs and from elective courses within each track, SNHU offers a great combination of reputation, value and personalized educational opportunities. 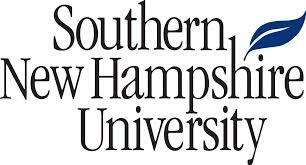 The program is fully accredited by the New England Association of Schools and Colleges, as well as the Accreditation Council for Business Schools and Programs and the European Council for Business Education. The U.S. News and World Report named Post University’s online MBA program as one of the best online courses for 2013. This is for good reason. 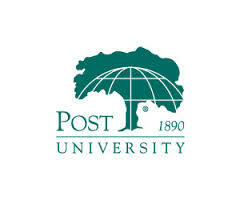 The international business MBA at Post focuses on the practical applications that students can put to use in their future occupation. As a result, students come out of the program with direct skills that allow them to compete in the global marketplace. 86% of students who begin the program earn their degree. The total cost for the program is $31,950 dollars, which covers the 45 credit hour degree and all associated fees. The median student loan debt upon completion is $27,950 dollars, meaning that the typical student receives some form of financial aid other than loans. 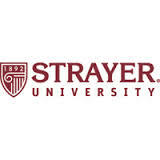 Strayer University offers 13 concentrations for the online MBA program, including one in international business. 91% of the students who begin the program complete it within 4.5 years, and the majority of students attend part time. This is another value offering, with the total bill for the program totaling $28,820, with an additional $1,800 in fees for residents of anywhere outside of Tennessee. Strayer University is accredited by the Middle States Commission on Higher Education, the same organization that accredits Universities such as City University of New York, Georgetown University and Seton Hall University. Their faculty consist of dozens of leading professionals and thinkers in the field of international business. 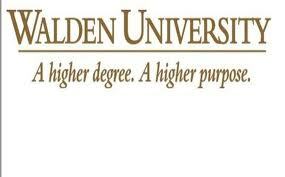 Walden University offers many Master’s programs in Business, and even a number of doctoral studies relating to this field. The MBA program offers 10 specializations, including one in international business. This specialization is a 36 hour course track. Educational expenses are $2,565 per course, with an associated fee of $150 per course for technology. However, not only is federal financial aid available, there are a number of grants and fellowships available for U.S. residents that begin their study. These can range up to $10,000, bringing the cost of Walden’s program more in line with other value-priced offerings. This program boasts an 86.6% completion rate by students. 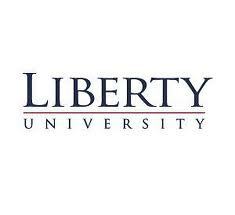 At $490 per credit hour, Liberty University’s 45 credit hour international business course of study is one of the most economical choices available. An emphasis is placed on understanding the role of ethics in the global business environment, and how to use ethical principles to develop effective management practices. Up to 12 credit hours can be transferred into this program, so students who have some graduate study might be able to reduce their cost even more. The school is accredited by the Southern Association of Colleges and Schools Commission on Colleges to award associate, bachelor, masters, specialist, and doctoral degrees. 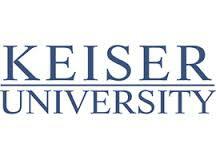 The program at Keiser University focuses students on learning the theories and practices of the global business world. The program is designed for 42 credit hours, with 36 of those hours being completed at Keiser University as a prerequisite. This also transitions into doctoral level work at Keiser University if a student chooses to pursue it. The cost at Keiser University is $57,564 for the total program. Financial aid is available for students who qualify. They also offer a variety of career placement and networking programs for their students, which is a strong selling point of the program. The international business emphasis for the online MBA program at Northcentral University is a 30 credit hour program designed to equip students with a thorough understanding of the laws and policies in place within a global business environment. They boast a faculty that is composed entirely of professors with terminal degrees in their field of study. Total estimated expenses for this international business program are $2,063 dollars per course, or $20,630 for the entire program, excluding books. The university is accredited by the Higher Learning Commission, and is a member of the North Central Council. In addition, their business programs in the School of Business and Technology Management have received programmatic accreditation from the Accreditation Council for Business Schools and Programs. This entry was posted in University Rankings on July 30, 2013 by rebecca.